Which Gas Barbecue is Right for Me? Which Gas BBQ is Right for Me? Read our top tips on what to consider when you are buying a new gas barbecue. Both for alfresco dining experiences in the summer and warming, atmospheric barbecues in the winter, your new gas barbecue is guaranteed to open up a world of culinary adventures for you, your family, and your friends. At Weber, we appreciate that finding the gas barbecue takes a little time and research – this is where the excitement begins! When it comes to gas barbecues, there are some useful tips worth noting to ensure you get a model that best suits your needs. When and where are you barbecuing? How many people do you barbecue for? Do I need a closed or open cart for my gas barbecue? Convenience: The advantage of a gas barbecue is the speed with which it can be lit and pre-heated and the ability to easily adjust the temperature . This makes it a precise and predictable way of cooking. Hassle-Free Cleaning: Cleaning a gas barbecue is quick and easy. Simply clean the cooking grates using a grill brush and wipe the outside of your barbecue with a cleaning cloth and a Weber cleaner. For added convenience the Grease Management System helps funnel away grease that is not vaporised by the Flavorizer bars into an easy-to-remove drip tray below the cookbox. Made to Last: While gas barbecues tend to be a larger initial investment than charcoal barbecues, their running costs are lower. Weber gas barbecues are made from premium quality materials that are designed to withstand the elements. With the choice of stainless steel or porcelain-enamel finishes on the Spirit II and Genesis II ranges, as well as 10 year warranty on all parts, you can rest assured your Weber barbecue will be with you for many years to come. Perfectly Barbecued Food: When barbecuing, we’re all essentially after that smoky taste. On a gas barbecue this is achieved by the Flavorizer bars that sit above the burners. Juices from food smoke and sizzle as they fall onto the Flavorizer bars, permeating food with that delicious barbecue flavour. To add extra smoke flavour or specific wood flavours to your gas barbecue, try out the Weber gas barbecue smoker box and smoker chips. Firstly you must decide where you’re going to put your new barbecue as this space available dictates the size you can have. Weber gas barbecues come in a range of sizes to suit you and the space you have. With gas barbecues ranging in size from 0.7m width to 1.7m width, there is a gas barbecue to fit your space whether it’s a small patio or a large open garden. You also want to make sure you have ample space around the barbecue so you can cook with freedom and ease. With a range of sizes available, our barbecues adapt seamlessly to your lifestyle. If you are looking for a barbecue to take pride of place in your garden, a larger gas barbecue such as the Weber Spirit II or Genesis II is for you. If you are looking for a gas barbecue that can double as a travel companion, our compact Q series of gas barbecues allows you to do it all; from dinners whilst camping to Sunday lunches at home. The main factor to consider before determining what size barbecue you need is the number of people you wish to cook for. With gas barbecues, you usually have the option of multiple burners. For medium crowds, it’s recommended to use three to four burners, and for larger groups, Weber offers as many as six burners. The number of burners your gas barbecue has also determines your capacity for direct and indirect grilling (i.e. cooking directly over the flame, or to the side). For example, with a two-burner model, you can simply turn down or switch off one burner and place food over the side that is switched off. A four-burner model gives you even more options – you can switch off two or even three burners and use that space for indirect grilling. Find out more about direct and indirect cooking in our cooking methods article. You’ve chosen the size of the barbecue based on who you’re cooking for, space and number of burners – but what about additional features? Our larger gas barbecues include the Gourmet BBQ System (GBS) cooking grates. The removable centre section can be replaced with a number of accessories (sold separately), allowing you to cook all your favourite meals on the barbecue. Cook anything from pizza to casseroles or even an early morning breakfast - all in the comfort of your garden. Gas barbecues with side burners have all sorts of uses: cooking sauces or side dishes that can’t easily be prepared on the barbecue; sautéing vegetables on the side while barbecuing larger items on the grill; or simply keeping your sauces and side dishes warm. Just think of your red wine sauce simmering away on the side burner while you perfect your steak and fries on the barbecue! A side burner is the perfect feature for outdoor cooking as it allows you to spend more time outside with your guests while cooking an entire meal. Choosing between a gas barbecue with an open or closed cart mainly comes down to convenience. Both cart options give you easy access to your tools and storage, with the additional benefit of the closed cart is that they are stored out of sight when not in use. When considering which gas barbecue is right for you, this research phase is where you can let your imagination run wild. While considering all the above factors, you can start to imagine those long summer evenings spent outside with friends while enjoying a delicious meal, or celebrating New Year’s Eve with a special barbecued feast. We assure you, with your new Weber gas barbecue, every event will be memorable. 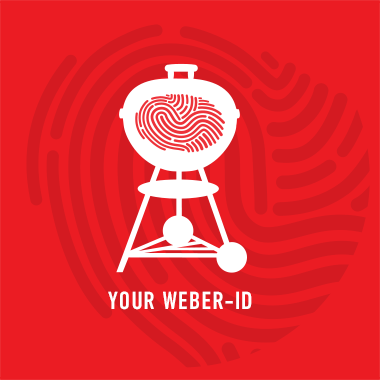 Check out Weber gas barbecues now!